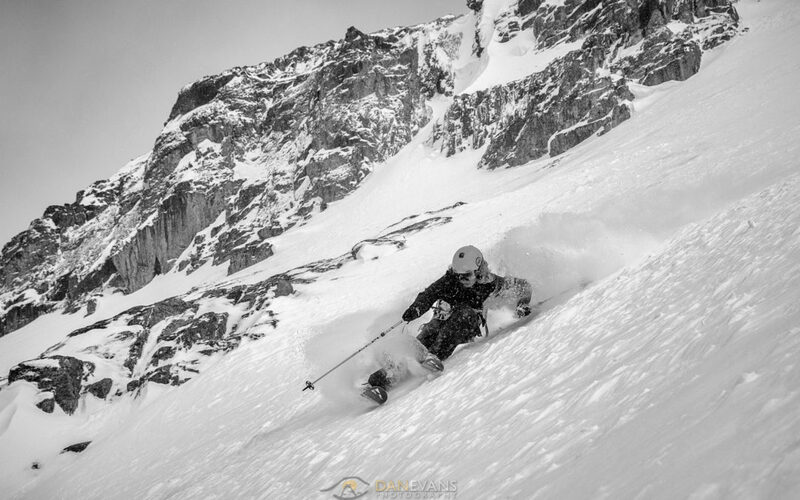 Banff Sunshine – Delerium Dive: Requiring avalanche gear and a partner this area has some of the best inbounds skiing in Western Canada, with a massive bowl mixed with chutes and steep terrain to keep you busy all day. I think the local’s record is 11 laps in a day, but 3-5 runs through the Dive will usually make for a full day. Sunshine also run ski school programs to tour guests around the terrain that want some added knowledge. Banff Sunshine – South Side Chutes: Either a traverse on Goat’s Eye or a 20 minute hike can take you into the upper sections that only get skied by a few people every day. Some great terrain and a quieter area on the mountain. Lake Louise Ski Resort – Eagle Ridge: This area is quite large but usually hosts the Big Mountain Skiing competition that pits local shredders against each other. Steep with many features to drop off or get some deep powder turns. Try hiking to the top of ER3 from Paradise Chair on a clear day and drop in carefully. Lake Louise Ski Resort – Brownshirt: From the Poma traverse around to the bootpack called Hikers Paradise and make your way to the top of Brown shirt. This extra bit of easy hiking usually keeps the majority of skiers out of the area and offers some amazing fall line skiing into the valley bottom.